Village Theatre is a non-profit organization with charitable status. It operates year-round as a professional theatre company and hosts film, dance and community theatre, acting as a regional Arts Centre. The bulk of its revenue comes from ticket sales, fund-raising events, donations and sponsorships. As Elvis left the building after the last show on June 29th, the set designer and production crew came in to prepare for the next show. 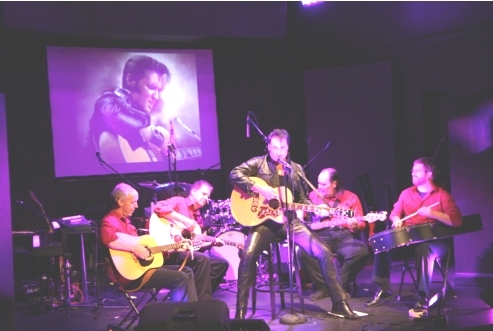 C2 Entertainment’s show, Blue Suede Shoes: The King, the Colonel, the Memories, sold out a lot of shows and introduced a new French audience to Village Theatre. With this and the first show, Norm Foster’s On A First Name Basis having completed their runs, Village Theatre is well into their summer program with summer only just starting. Next up is Wife Begins at Forty, a traditional British comedy by Arne Sultan, Earl Barret and Ray Cooney. Originally set in the 1970s, some references have been changed to ensure they still make sense to today’s audiences. Americans Arne Sultan and Earl Barret collaborated with Brit Ray Cooney to create this hilarious play. Earl Barret wrote screen plays for hits such as Bewitched, My Three Sons, Get Smart and Bob Newhart but it is Ray Cooney who has influenced the work to be similar to his hits Run For Your Wife, There Goes the Bride and Not Now Darling. Outgoing Artistic Director Heather Markgraf, for whom this is the last play Village Theatre will produce under her guidance, chose the work because of its heavy dose of traditional British humour. She had to briefly help with directing the play when director Glen Bowser unexpectedly had to absent himself for the first few days of rehearsal. She says that even though she worked through the play with the actors several times and became very familiar with the text, she still had to laugh every time they performed the second act. The cast of six includes actors from Montreal and local actor Peter Williamson, who has been on stage uncounted numbers of times with local community productions. Audiences may remember him from his lead role as Ernst Ludwig in Cabaret, from the first Aladin panto where he played the Widow Twankey, and from his roles in plays performed by local group the One-Acters. The cast also includes local dog Pudding, who may steal the show. Next up at Village Theatre is the CBC’s Vinyl Cafe. 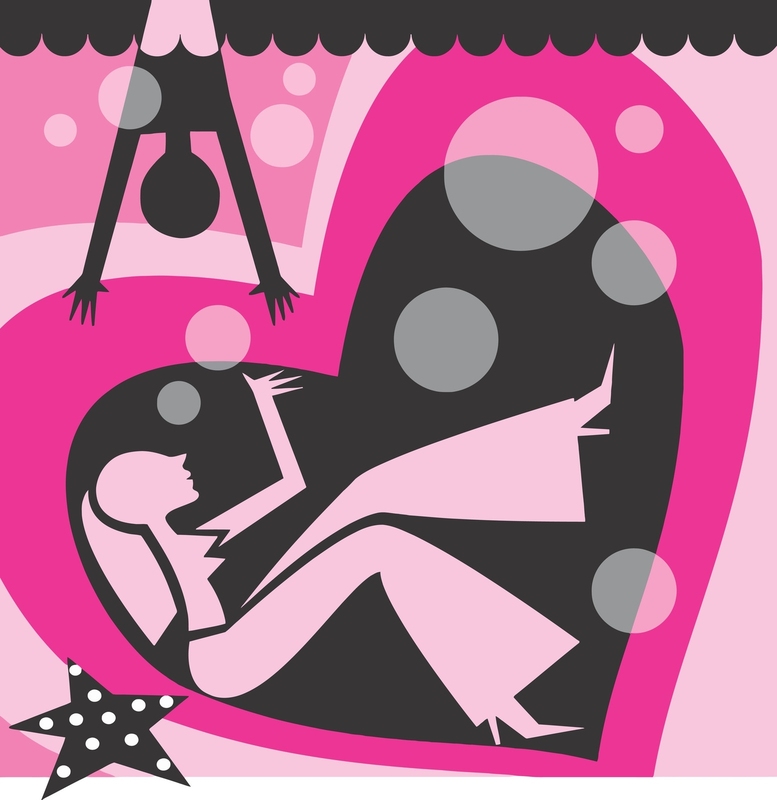 The show is taking over a Monday and a Tuesday evening during the run of Wife Begins at Forty and is performing in front of the Wife set. The picture at left, from Wikipedia and Flickr contributor “Themightyquill,” shows what audiences can expect. 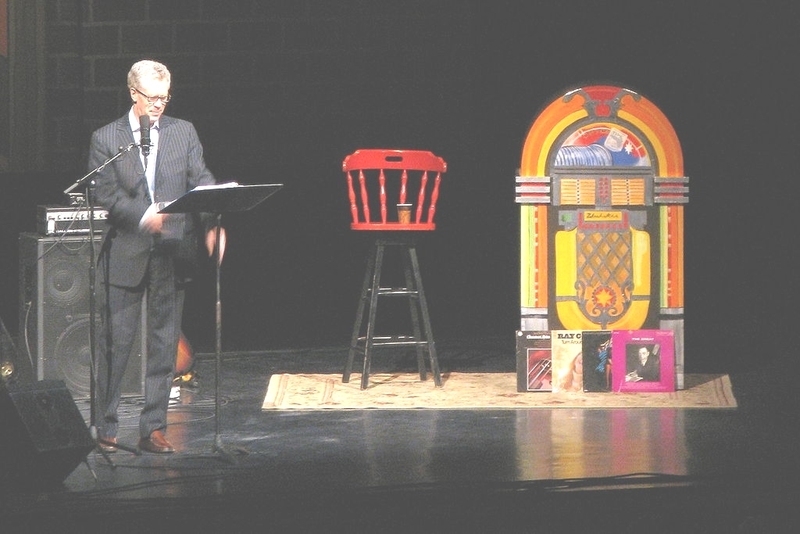 The Vinyl Cafe show rents the theatre and the shows have been sold out for some time. You’ll have to catch the taped shows on CBC when they air. The Vinyl Cafe has also recorded at the Piggery Theatre in North Hatley. After the close of Wife and concurrently with the end of the Hudson Music Festival, Village Theatre is presenting Natalie Choquette. 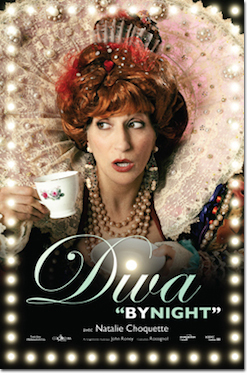 Coming after Theatre Lac Brome, where she is performing Diva by Night in English and French for several shows, Village Theatre will present one performance in English on August 9th. Natalie is the Diva who is not a Diva, as she posses the voice, stage presence and performing abilities of a traditional Diva but refuses to accept the formal requirements of the role. She makes fun of the normal formalities of stage singing, the seriousness and her own person while leaving no doubt that she could, if she wanted, occupy the formal position of Diva fully and deservedly. In this process, she can and does permit herself to be fully outrageous and takes for granted the acceptance of the audience to do absolutely anything on stage, combining humour with satire and general silliness. A seasoned performer, Natalie Choquette is an ideal fit for an intimate venue like Village Theatre. For the final summer season show, Village Theatre is bringing in a Theatre Lac Brome production, Thirty-Nine Steps. Originally a serial written by John Buchan and published in Blackwood’s Magazine in 1915, it was subsequently combined into a book and adapted as several movies over the years. Buchan called it his first “shocker,” a term he applied to an adventure novel in which the action is surprising and barely credible. While the plots vary with the different adaptations, they have in common that a young Scot in London, upon meeting a self-proclaimed spy who turns up dead, becomes the main suspect in the murder. He flees London to avoid arrest and to follow up on the spy’s story that a German group is planning to steal England’s secret plans for the war. After a lengthy chase criss-crossing remote areas of Scotland, the clue of the thirty-nine steps helps him unravel the Germans’ plans and foil the scheme. The adaptations differ substantially in the details while retaining the overall framework. A key difference is that the young Scot finds an attractive young lady as an ally as they flee his pursuers. 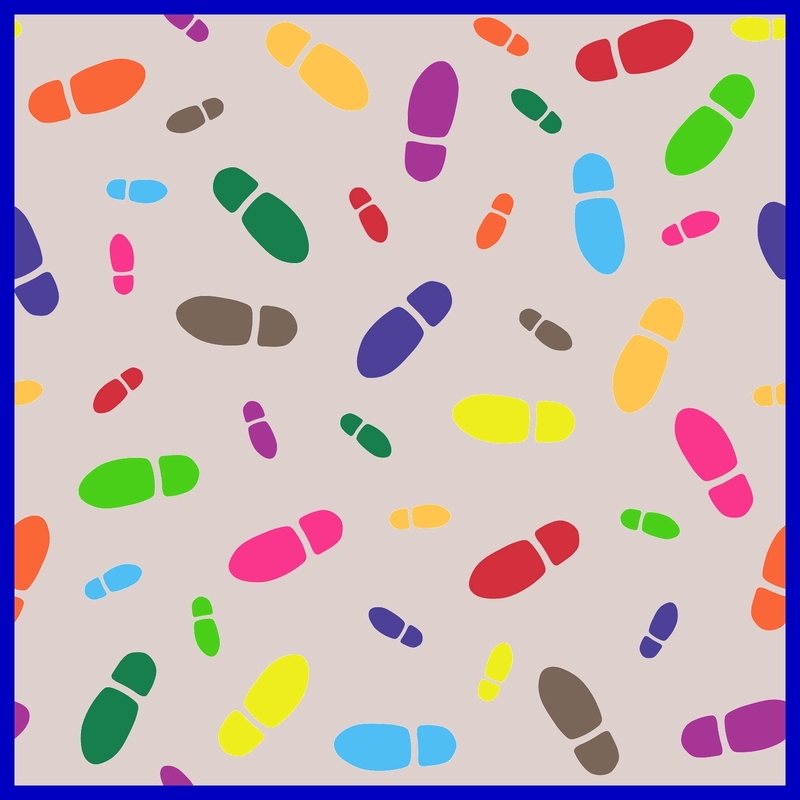 The meaning of the thirty-nine steps also varies considerably. The play based on the novel takes a different approach again. To cover the plot, which has dozens of characters, the plau uses four actors to portray the story. Instead of the many scnes of Scotland that are in the original, the plau uses a minimalist approach based on setting the stage with a few props and the actions of the actors. It is a type of theatre that goes back to the roots of theatrical expression and it leaves it up to the imagination of the audience to fill in the details, based on the suggestions of the staging. Mary Harvey, seen at Village Theatre in Educating Rita, is in the cast and Nicolas Pynes, Artistic Director of Lac Brome directs.